"Watch - To look at or observe attentively, typically over a period of time....."
Each year I feature people making their mark in Chicago as well as nationally and internationally. This year I'm excited about the list as its overflowing with creative thinkers in business, fashion film and TV and just plain fun. So check out the 2019 People to Watch List. Dominique Jordan Turner - "Superwoman"
Dominique Jordan Turner currently serves as the CEO of Chicago Scholars. Chicago Scholars is a nonprofit organization whose mission is to uniquely select, train, and mentor academically ambitious students from under-resourced communities. By helping these students to complete college, Chicago Scholars will prepare them to become the next generation of leaders who will transform their neighborhoods and Chicago. Chicago Scholars has selected over 2500 students and 86% of them have graduated from college! She is also the founder and face of DJT Speaks™; a weekly video blog focusing on leadership, success and what she calls the ‘art of winning’. Because we spend most of our waking hours at work, she wants to help you be great when you are there. But before all of that, she says her most important job is being the mom to her daughter Kennedy, who is a brilliant, talented, kind and funny 4th grader at Morgan Park Academy. Dominique is a proud member of Zeta Phi Beta Sorority Incorporated and a graduate of Clark Atlanta University. She has been recognized numerous times for her work in the community. 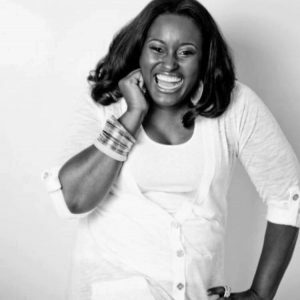 In 2016, her sorority named her Woman of the Year, Glamour Magazine recognized her as one of their 50 hometown heroes, and the esteemed radio show Café Mocha acknowledged her with the Community Activist Award. Given her leadership in the city, Mayor Rahm Emanuel has appointed her to both the Chicago Board of Education and the Chicago Public Library Board. Additionally, Dominique is one of the 20 leaders selected from more than 20,000 applicants from 191 countries to be an inaugural Obama Foundation Fellow. This Fellowship will be a collaborative effort to elevate and continue to empower the next generation of Chicago leaders. Outside of work, Dominique is fluent in Spanish, loves to dance, travel and spend time with her “Fit Chics” family working out. Her home and office is filled with inspirational quotes and one of her favorite is “I’ll find a way or make one”. Dominique has a new book “Finding Your Superpowers” coming Spring, 2019! Sarah Perkins - "Design Innovator"
Sarah Perkins is the CEO and co-founder of DesignerShare, a platform allowing women and B2C users to rent their designer clothing and accessories to one another. 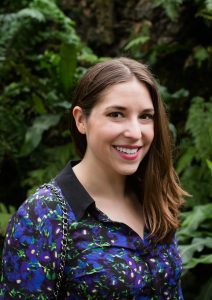 She has a marketing degree from Santa Clara University and a masters in journalism from DePaul University, leading her to become a lifestyle journalist and editor before taking the entrepreneurial plunge. Sarah has loved fashion her whole life—she has visions of outfits based on mood and vividly dreams in color. Kristie Jorfald - "Style Savior"
Kristie Jorfald is a personal wardrobe stylist dedicated to women in transition and in the media who are ready to live their best lives. She teaches women how to shop for their body shape, develop a personal style, and build self-confidence through wardrobe styling. I grew up in a loving, multicultural family in the north shore of Chicago with three very unique priorities—language, culture and diversity were continuously the focus of my upbringing. Raised by my Colombian mother and Norwegian father, I was taught Spanish as my primary language, and I also became fluent in English and French at a young age. I began my fashion career journey in college and interned at Hearst Corporation: Teen Magazine in Los Angeles in the summer of 2007 and then at CosmoGIRL! Magazine in summer of 2008. These two internships shaped my skill sets to take on many projects that led me into celebrity styling. My first celebrity client was Taylor Swift while I worked at CosmoGIRL! Magazine. After completely my Bachelors Degree in English Literature with an emphasis in Creative Writing at the University of Colorado, at Boulder, I moved to Los Angeles and began interning at the prestigious PR Firm: Seventh House PR and worked in their showroom office: Showroom Seven. While working at Showroom Seven, I interned in their sales and press department. I got to fly to Vegas and represent designer + creator of: Allan J at the PROJECT trade show and got to assist many iconic celebrity stylists (Luke Storey, Edgar Revilla, Monica Rose, Jessica Paster, Zoe Joeright, Tara Swennen, plus more as they pulled designers from the showroom for their red carpet debuts. The relationships I built with these stylists brought me into the lime light of celebrity styling and soon after a few years of assistant work, I too became a celebrity stylist. Styling spreads for PAPER Magazine and stars such as: Sarah Hyland, Anna Kendrick, Kendall Jenner, Kylie Jenner, Katy Perry, Rihanna, Miley Cyrus, Cat Sadler, Christopher Brown(model), Lance Gross and more. While freelancing as a celebrity stylist, I got picked up to work with the legendary director: Joseph Kahn and assisted the wardrobe department in styling his thriller movie: Detention. I wrapped up the film and then got hired as the assistant wardrobe stylist for the two-time Emmy Nominated makeover show: “How Do I Look?” on the Style Network / E! in 2011 for Season 12. At the end of 2011, I decided to take a break as a full time stylist to purse a Masters Degree in Education at Columbia College in Chicago and worked part-time as a Personal Shopping Assistant at TopShop’s Flagship store located on Michigan Avenue in Chicago. Even in Chicago-- I got to work with more celebrities and was given the opportunity to style, assist, and throw events for Alecia Moore(PINK! and her backup dancers), Jennifer Lopez, and Beyonce. I managed to find time on my days off too to style commercials and advertising campaigns for companies such as: Walmart, Purina Dog Food, RSM, Headliner Performer: Sashe Taylor and her dance crew for the Chicago Thanksgiving Day Parade, and Wella + Kudus Professionals. Upon graduating I knew teaching was a forever passion; a skill I could intertwine with any future project I'd take, but not one that I would dedicate my time in a classroom setting with children. I plan to use my Masters of Arts in Teaching to create a non-profit organization focused on building career opportunities for orphans in Colombia, South America, where my roots are in. In 2014, I was recruited by the reputable Burberry Chicago Flagship Store as their Private Clients Assistant and had the opportunity to build relationships with a multitude of Chicago’s best concierge teams, businesses, clients, and employees offering elite customer service and throw luxury store events. In 2016, I decided to take a leap of faith and embark on my most exciting adventure yet. I created my own company: Kry Media Group, LLC, d.b.a. Kristie Jorfald. Kristie Jorfald is based in Chicago and travels internationally to style those in need. Tiffany Taylor - "The Entrepreneur"
The oldest with two siblings, Tiffany was raised in a single parent home. “My grandparents and great aunt and uncle, had a great impact in my life during my grade school years when my mother needed the help while working long hours, I’m thankful to them for stability and discipline.” Throughout her life she has been continually placed in leadership positions. 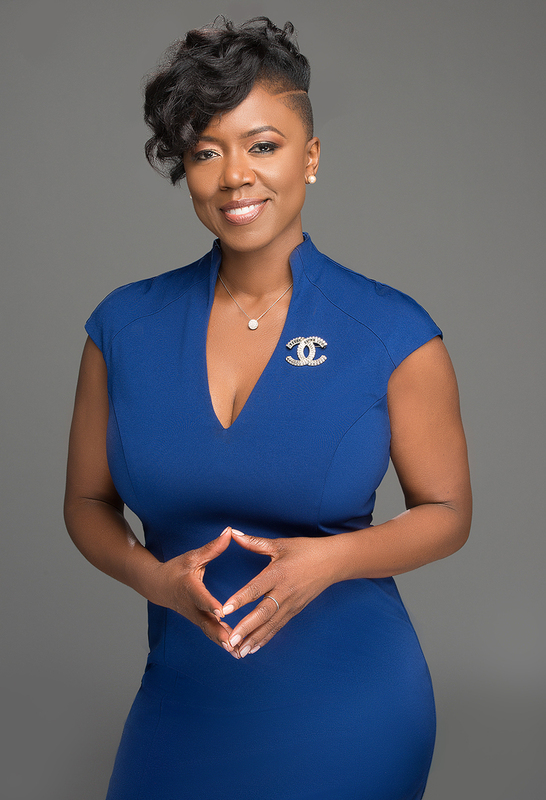 Armed with an entrepreneurial dream, Tiffany attended Northern Illinois University where she studied finance and law and earned her Bachelor of Arts degree from Chicago State University. Thanks to the course selection that these fields offered, Tiffany fueled her passion for all she does including her strong, professional communication. Later obtaining her license as a real estate broker Tiffany developed strong negotiation skills that make every difference for her clients. For 8 years, Tiffany held a position with the federal government as a Personnel Security Specialist, where she acquired resilient investigation skills and the ability to communicate with people in all situations. In addition, her administrative background that measures over 15 years, including working as an assistant to government officials. In July of 2000, Tiffany founded Taylor Business Solutions, a firm designed to provide off-site administrative support to small businesses and also specialize in affordable income tax preparation. Her goal is to complement her natural technical savvy with a strong foundation in business growth and highly customer-centric ideas. Tiffany evolved her business to fit innovative industry demands and later developed a successful wine brand. As she entered the real estate industry in 2005, Tiffany’s passion to education her clients and her drive for results is her leading force providing high-quality service in all aspects of residential real estate. 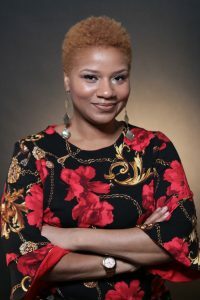 Currently, Tiffany Taylor is President of AmeriDream Tax Pros, incorporated in 2016 and Managing Broker of Taylor Realty Group, founded in 2015. An important aspect in her life is family. This native of Chicago is a proud mother of two daughters. Tiffany is a member of Trinity United Church of Christ, the Order of Eastern Star, Dearborn Realtist Board and the Women’s Council of Realtors. 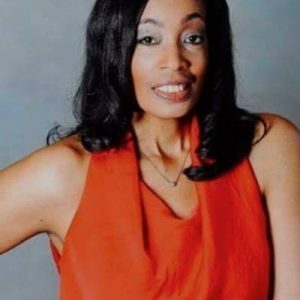 Dedicated to giving back to the community, supports several local causes and she served as a mentor in Trinity’s Intonjone Ministry, a program for girls ages 8-18, intended to nurture and provide support as they experience life. Mary Kay Sergo - "Serving Up History"
Steven Galanis - " Transforming the Shoutout"
Steven Galanis is the CEO of Cameo, the world’s leading marketplace for personalized video shoutouts. He launched with the ideal that selfies are the new autograph. To date the company has sold over 140,000 Cameos and seen over 7,500 athletes, actors, and influencers join the platform. In 2018, Steven was named "50 on Fire" and "B2C InnoBlazer of the Year" by Chicago Inno. 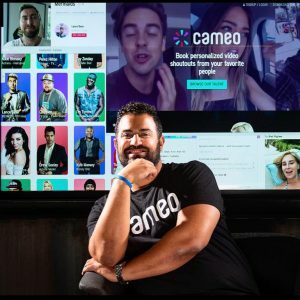 Cameo was also named one of the "50 Genius Companies of 2018" by Time Magazine. He has been prominently featured in top media outlets around the world including BBC, CNN, Forbes, NBC, & the New York Times. He is a LinkedIn alum who previously worked as a trader on the floor of the Chicago Board Options Exchange, and founder of two film investment companies where he produced movies featuring stars such as Bruce Willis and Robert De Niro. Outside of work he is an avid Chicago sports fan and serves on the Board of Directors for Habitat for Humanity Chicago. Steven is a 2010 graduate of Duke University where he majored in History. Inez Woody - "The Rising Star"
A former technology educator, she is passionate about mentoring, teaching and inspiring Black and Latina girls in urban communities to pursue careers in STEM. Inez is a former Lead Technology Instructor at YWCA TechGyrls in Woodlawn, Director of Technology and Lead Instructor at Our Lady of Tepeyac All Girls High School in Little Village, and Lego Robotics Instructor at Sacred Heart Schools in Edgewater. Since there isn’t enough Black and Latina female role models in STEM, she stands in the gap, assisting girls who reach for STEM careers and answers the call for female role models by sharing success stories that don’t often make it into the history books. Inez is passionate about mental health awareness and lends her voice to sharing her story of coping with her mother’s disease. Inez is the brand ambassador of Two Sisters Organic Skincare. The local business was launched by her sister after surviving breast cancer in 2016. In 2017, Inez launched a podcast, Cocoa Convo of WLLF Radio, a show that unapologetically tackled the concerns of black women. Inez was recognized and honored by Chicago Young Women Professionals League as a Rising Leader, 40 Under 40 Award Ceremony in 2017. She is currently the Co-Chair of YWPL’s Sisterhood Committee. Inez is a participant of the 2019 Grant Writing & Fund Development Fellowship facilitated by Demoiselle 2 Femme. When she’s not at her favorite coffee shop developing brand story strategies for solopreneurs, you can find her court-side at Chicago high school gyms, rooting for her son, all around point guard, #1, Isaiah. Go Eagles! Esther Kovacs - "The Renaissance Woman"
Refugee Care published along with the United Nations. mixed media art to create impactful, far-reaching work. Tressa Epps - "Bringing ideas to Life "
Tressa Epps brings film scripts to visual life via production design and producing feature films scripted and non- scripted television. Her career in the industry started when she volunteered her decorating skills for an independent film called “Black Butterfly. Afterward the film wrapped she began to do set design for several local playwrights and production design for shorts and full-length feature films. She enjoys seeing the completed work from every cast and crew associated with each project. The “village” it actually takes to complete a script. When not bringing films to life, her favorite activities include reading, travel working with youth focused not for profit organizations that help “empower and mobilize young adult voices”. And spending as much time as possible with her 3 year-old grandson Austin. Pastor Eric Hampton - "Bridging the Spiritual and the Social"
Pastor Eric and Jennifer Hampton reside in the south suburbs of Chicago with their son, Ethan. Pastor Eric serves as the founder and lead pastor of Arrow Church and has a vision to lead people to become fully devoted followers of Christ. 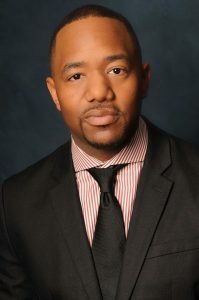 In addition to serving as lead pastor, Eric is the founder and Chief Executive Officer of the Arrow Foundation, an organization with the vision to help make our neighborhoods attractive and sustainable communities, where people want to work, live, raise a family, and retire. Education: B.A. in Communications from Eastern Illinois University with a minor in Business Administration; Master of Nonprofit Administration from North Park University in Chicago. 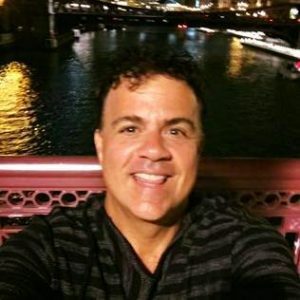 Pastor Eric is also certified in Church Administration, Leadership, Organizational Development, Nonprofit Governance, and Nonprofit Administration. Olga Batrich - "Educating on Wellness as a Way of Life"
Caring for your body should not be considered a luxury, but a true necessity. Olga Batrich leads her practice with a deep passion for wellness that focuses on physical and emotional well-being. After working a number of years with a premiere resort spa, and then with a luxury skin care brand providing treatments to fashion models and celebrities, Olga decided to open and nurture a private practice close to home. "Being trained in many disciplines allows me to better care for each person I see on a wholistic level." As a Licensed Esthetician, Licensed Massage Therapist, Reiki Master, and Certified TRE Specialist, Olga leads her practice with a firm foundation of the best quality services, premium products and innovative techniques. 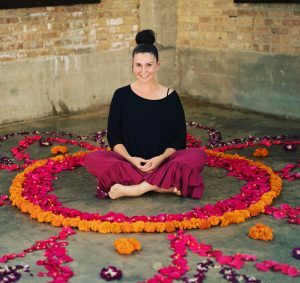 She is one of the few in the Chicagoland region that is trained in a specialty stress release technique called Trauma/Tension Release Exercises (TRE). Used in the US military to help with PTSD, it is a simple technique that because it works so well with trauma, can be used for everyday stressors. Whether it's dry skin, tights hamstrings, or a rain cloud over your head, Olga will help you reach the best version of you. 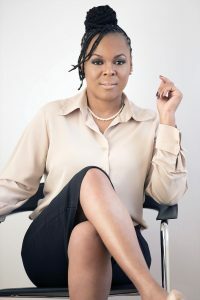 Cheresa Purnell - "Empowering Young Women as Leaders"
and has been featured in Rolling Out, Jet Magazine, Ebony, and N’Digo Magapaper. professionals such as Barbara Bates, Amy S. Hilliard, Chrishon Lampley, and Yanni Brown to name a few. Social Media Coordinator, and Education Manager. on school discipline reforms in Illinois. live, love, and lead a fulfilling life of limitless possibilities. 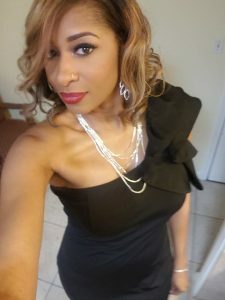 Keisha Rose - "#IAM Relentless"
Keisha Rose is an Actress, Model, Brand Ambassador, Writer, Producer and now she is the Co-Founder of G-Rose Production Company where she will produce scripts, screenplays for authors (books) documentaries and more with her business partner and associates. 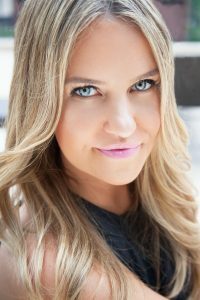 She just wrapped a short film "Kitchen Talk" written and produced by Ton'e Brown as well as co-writing a screenplay for the book Love Miscarriage, and another series called "Triggers" with author Jane Pauline, showing the journey of 5 women as they return to society after Domestic Violence. Pursuing her entrepreneurial pursuits she's working on her Lipstick and Lip gloss line which will feature a variety of beautiful colors with names such as: Courage, Bold, Survivor, Royalty and Unbreakable just to name a few. Keisha is always challenging herself to become a better person each day and she loves to empower, inspire, promote and uplift other women. We will see her journey as she will be followed with a Camera Crew for the up and coming Documentary "Keisha Rose-Full Blossom" it show her rise from being a little girl from the West side of Chicago with a big dream to the fully blossomed woman that she has grown to be. She is determined to place her "Rose"
stamp on everything as she strives to become an influential figure on both sides of the camera. "People don't go to the movies to see you, they go to see themselves" make it good! I'm just the vessel, its all GOD! I'm so thankful." C. Lynn Williams - "The Parenting Guru"
C. Lynn Williams remembers what it’s like to hate to get out of bed, because she wore so many hats and all she really wanted at that moment was to have time for herself. Many women struggle with balancing the demands of being a professional, a wife and a mother. While she’s heard that you cannot successfully have it all – she’s here to tell you that you can! Ms. Williams is the creator and founder of Finding Superwoman™, an online mentoring curriculum for professional, executive or entrepreneurial women who are wives and mothers and want more balance between their work and home life. In addition to creating Finding Superwoman™, C. Lynn has written a series of Staying Sane books that offer parents guidance in order to successfully nurture their youth, teens and adult children. While the books are helping parents have better relationships with their children, she realized that women like her were struggling with wanting to keep the love alive in their marriages, run successful businesses and be a great mother. 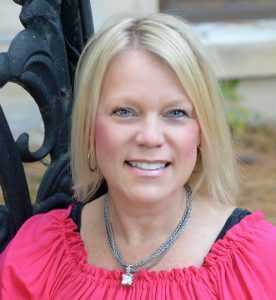 Her most recent book “Yours & Mine: The Winning Blended Family Formula”, released in September 2015, addresses issues of blended parenting with children from different households, while keeping the love sparks alive in your marriage. She speaks from experience as one who has lived through personal loss while climbing the corporate ladder. Having experienced a failed marriage; raising her children, and finding love in a new marriage, left deep impressions on Ms. Williams. She realized that with planning and prioritizing, women can truly have it all. Ms. Williams holds a Master’s in Business Administration and has worked in corporate America, so she has a solid business background. Working with professional women who are parents and wives to build environments of trust and love in their homes, is a mission that she values. She conducts classes and workshops about finding superwoman strategies that work. 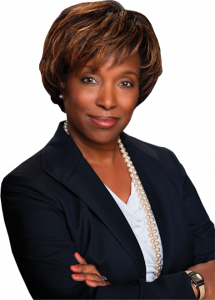 In this technologically complex culture, Ms. Williams’ follows a time-tested roadmap for family success. With today’s culture of social media and making women choose between running a corporation or having children, #FINDINGSUPERWOMAN is possible. Ms. Williams can be reached at CGWWBooks on Facebook, and as @MsParentGuru on Twitter and Instagram. C. Lynn is a Chicago Cubs fan, loves music, enjoys being outdoors and exercises a healthy lifestyle. She sings in her church choir, is intensely concerned with community and politics and is a member of Alpha Kappa Alpha Sorority Inc. She is concerned with issues that face mothers and daughters and as a recent member of Toastmasters, intends to deliver a TED Talk in the near future. Christopher Festa - "The Originator of Fun"
What is TBOX®? The short answer is, an acronym for Twelve Bars Of Xmas, a pub crawl started in 1996 for a few friends by Chicagoan Christopher Festa, which has grown to become the world’s largest and longest-running pub crawl, serving over 200,000 costumed crawlers over 22 years. Mr. Festa is recognized as the originator of the commercial bar crawl industry, and his company TBOX Bar Crawls (www.tbox.org) has helped bring millions of dollars of business to Wrigleyville. In addition to their flagship Christmas event, TBOX also hosts the Mardi Gras “BeadQuest” and “Cover Your Bases” baseball crawls, focusing on a creating a unique and memorable experience for every customer. TBOX has also donated over $263,000 to local charities, and is working in partnership with the Lakeview East Chamber of Commerce to disburse this year’s donations, which will include Lighting and Streetscape Improvements along Clark Street in Wrigleyville – a true Win-Win for the Community! #TBOX2018 will be Festa’s 23rd Annual 12 Bars of Xmas, taking place on Saturday, December 8, 2018, from 10AM to 8PM at approximately 40 Wrigley Venues. With their admission wristbands, crawlers choose their own itinerary among participating taverns, with Cubby Bear hosting a festive Opening and Closing Ceremonies one hour before and after the event hours. For the ticket price of $29-39, participants receive event admission with wristband and souvenir badge, and a Chicago Flag-themed Gym Bag serving as the “swag bag”, containing valuable coupons and product samples. Participating venues are asked to remain exclusive to the 12,000-16,000 expected crawlers during the event hours. This year’s TBOX® is sponsored by Bud Light and Goose Island Beers (our partners since 2014), Effen Vodka, Fireball Whisky, Cruzan Rum, Maker’s Mark Bourbon, Illinois Lottery, LA Tan, and other local businesses. Participating venues are asked to feature drink specials on sponsor beverages, to the benefit of customers. TBOX Bar Crawls (Festa Parties Incorporated) also fully permits the event through the City of Chicago, hires private security, and pays for barricades, toilets, cleanup, and other logistics. The event is approved by the 44th Ward Alderman and 19th Police District. And unlike other street festivals, the eating, drinking, and spending at TBOX happens exclusively inside the brick and mortar businesses that inhabit the street year-round! TBOX has been featured extensively in media, appearing on FOX, CBS, ABC, CLTV, and WCIU TV, WGN Radio, RedEye Newspaper, Thrillist, Chicagoist, and TimeOut. And this past year, Country Music Superstar Brett Eldredge attended the TBOX event as “Disco Santa”. And the TBOX reputation is nationwide, with 20% traveling from out of state each year. Christopher Invites all to be a part!.